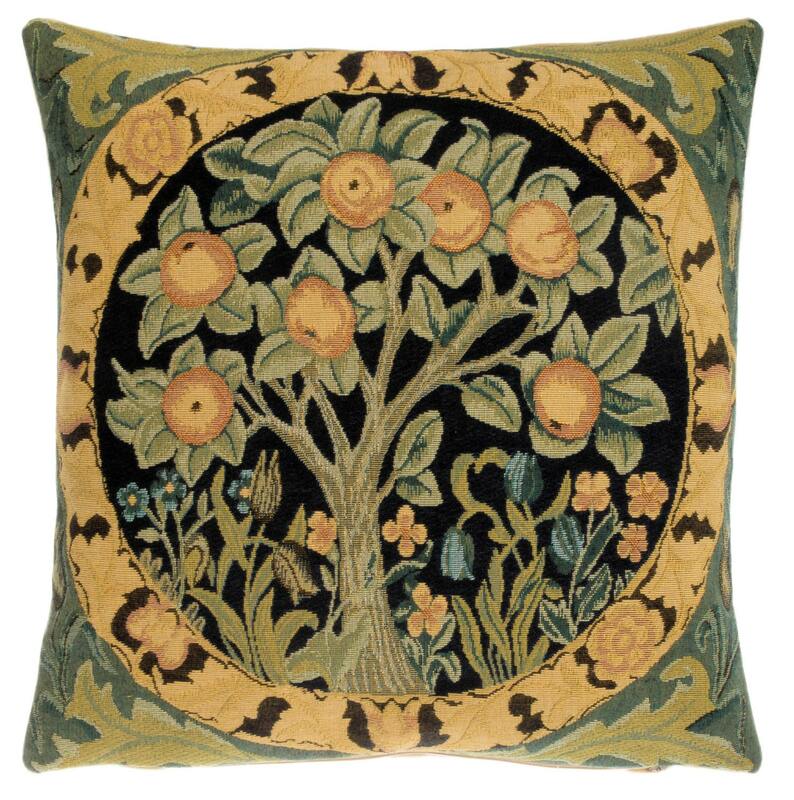 This Museum Collection gobelin cushion cover shows an Orange Tree, designed by William Morris (24 March 1834 – 3 October 1896) who was an English textile designer, poet, novelist, translator, and socialist activist. Associated with the British Arts and Crafts Movement, he was a major contributor to the revival of traditional British textile arts and methods of production. An absolutely beautiful pillow! I bought "Orange Tree" and gave a gift of the same to my sister. She, too, loves it! So happy bnb to have found this wonderful & unique shop! Shopkeeper was very helpful as well!